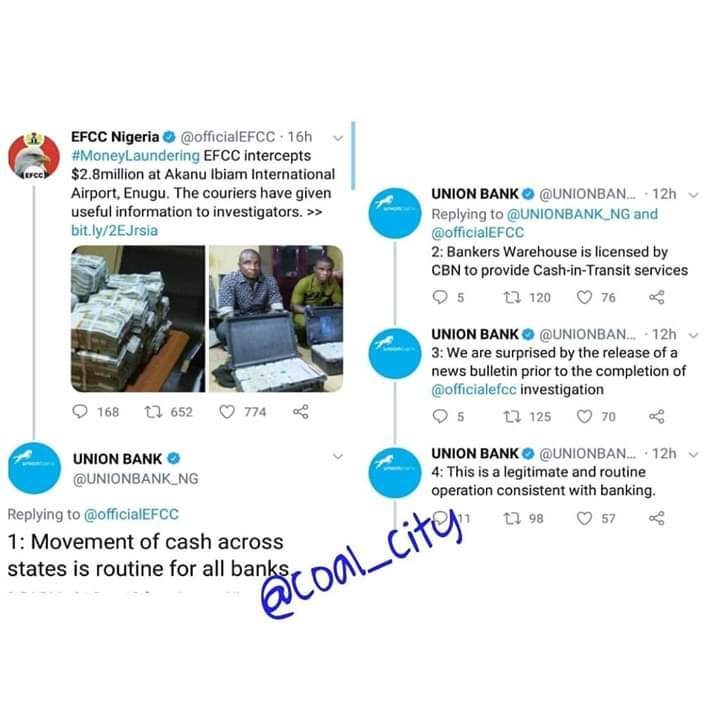 After the supposedly press release yesterday from the Economic and Financial Crimes Commission (EFCC), on how they intercepted $2.8 million belonging to Union Bank at the Akanu Ibiam International Airport Enugu. Union bank through its Twitter handle confronted the commission, stating that the two men paraded for Money Laundering were actually staff of the Bankers Warehouse, who were on official duty. An inside story made available to Coalcity Connect has it that the Commission is already apologizing to the bank for the mistake, promising to buy their return tickets if the bank doesn't take the matter to court.